Thermoguard Asbestos Encapsulating Smoke & Flame Retardant Coat seals rigid, sound asbestos in locations within buildings which are not subject to mechanical damage, concealed or are difficult to access. Also used to seal in isolated asbestos fibres remaining after primary asbestos removal has taken place. 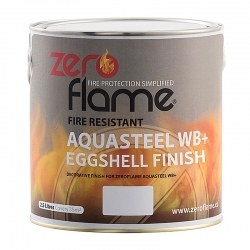 Effectively prevents the release of asbestos fibres into the atmosphere by encapsulating them. Permanently bonds residual asbestos fibres, after primary removal, to the surface to which they are attached or upon which they lay. This product is available in 12m² or 50m² pack sizes. These tins allow sufficient product to apply the required 2 coats to the stated areas. So, a 12m² pack should be used to apply 2 coats to 12m² and a 50m² pack should be used to apply 2 coats to 50m². See further application and spreading rate details below. BS EN Class B s1 dO and Class O on bare or painted non-combustible surfaces. Apply 2 coats. First coat should be thinned 10% with water and applied at 10m² per litre. Second coat should be applied undiluted at 10m² per litre. *Any required cleaning should be with either a type H vacuum cleaner or manual cleaning in a wet / washing process, followed by wiping off with damp rags, to avoid release of asbestos fibres into the atmosphere. Surfaces cleaned in this manner must be allowed to dry thoroughly before coating. Avoid the use of blow heaters or fans and limit air movement until Thermoguard Asbestos Encapsulating Coat system has been applied & dried. Wear disposable full-body hooded overalls, plastic shoe covers, plastic gloves, goggles & sealed mask with fine dust particle filters. Wash mask and goggles after use. Dispose of filters gloves, shoe covers and disposable overalls and any cleaning rags after each work session into sealed containers. Dispose of in an approved facility. Further guidance available from HSE. Thermoguard provide a Fire Certificate for non-combustible surfaces after confirmation of application. Where practical, surfaces should be clean and dry prior to applying 2 coats of Thermoguard Asbestos Encapsulating Coating. The 1st coat should be diluted 10% with clean water followed by an undiluted coat to create a continuous film. Thermoguard Asbestos Encapsulating Coating in this particular instance would not be suitable to use on the underside of your roof to try and waterproof it. This should really be done from the topside with a waterproof roof coating such as Britannia Aquashield High Build. Question: Can you use this on top of glasbesto cladding which is in sound condition will this paint Stick to the glasbesto cladding without rubbing down we are only allowed to clean surface with a water-based degreaser . We are not familiar with 'Glasbesto', but if it is similar to rigid asbestos sheets - a dull granular surface - and does not contain wax or silicones, Thermoguard Asbestos Encapsulating Coating will bond extremely well without abrasion. Bond and every other characteristic are far better than vinyl emulsion, so a test patch to see if vinyl emulsion bonds will indicate if Thermoguard Asbestos Encapsulating Coating will bond well. Suitable for internal or external use but NOT on tops of roofs. 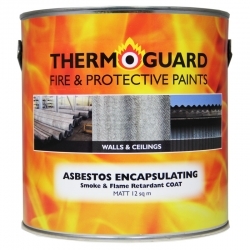 The manufacturer of the Asbestos Encapsulating Coating is Thermoguard. The coating can be applied over previously painted substrates but if the existing paint is glossy then you would need to create a key before application. 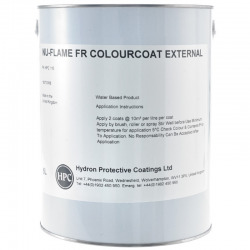 If there are any areas of loose or flaking existing coating then these would need to be removed but care must be taken when doing so as you are working with asbestos. The coating can be used internally and externally with the only exception that it can’t be used on a roof.